We are glad to inform that our company has recently obtained the upgrade of its Standard ISO 9001:2015 (former 9001:2008) quality certificate. This has been done way ahead of the pre-ordered deadline. 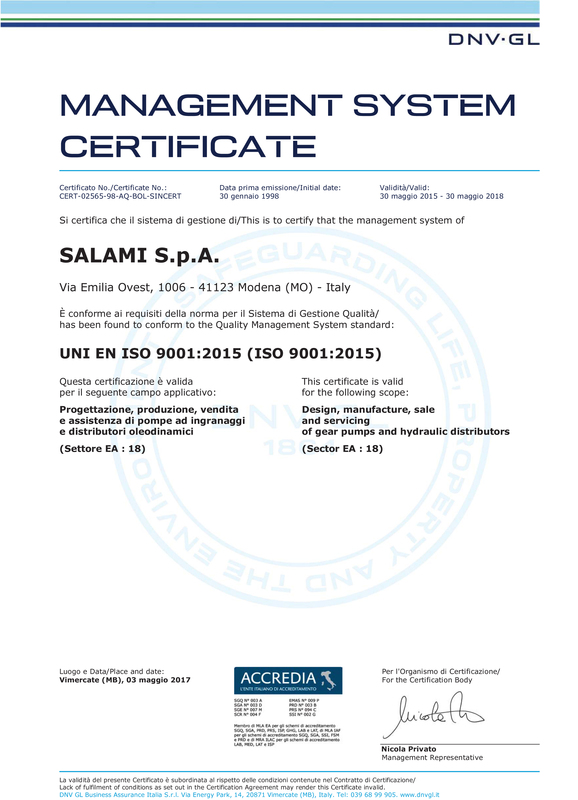 For Salami it is a very important achievement reached thanks to our team-work constantly oriented to quality. We are very proud to share this with our market. It is for us a new starting point in our long journey toward our customers’ total satisfaction through an incessant focus on quality.